The iPhone 4S got off to a record breaking start over the weekend, selling a total of 4 million units in its first three days of availability. "iPhone 4S is off to a great start with more than four million sold in its first weekendthe most ever for a phone and more than double the iPhone 4 launch during its first three days," said Philip Schiller, Apples senior vice president of Worldwide Product Marketing. 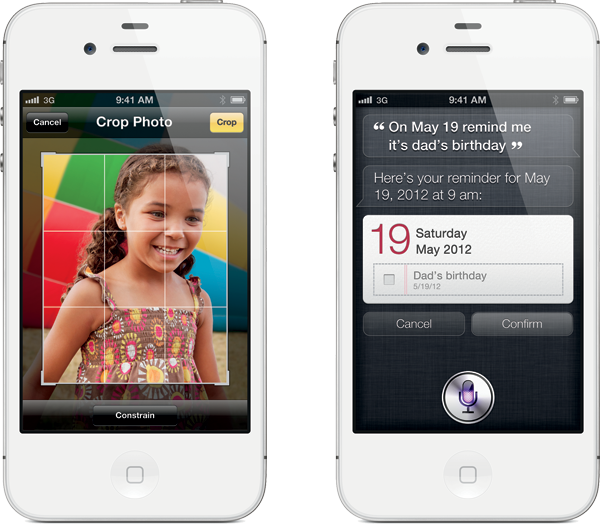 "iPhone 4S is a hit with customers around the world, and together with iOS 5 and iCloud, is the best iPhone ever." Sales of four million iPhone 4S units in three days more than double's the company's previous record of 1.7 million iPhone 4 units sold in the summer of 2010. Apple also revealed that more than 25 million customers are already using iOS 5, the latest mobile operating system upgrade for the iPhone, iPad and iPod touch. Those 25 million customers have made the upgrade in just five days of availability. More than 20 million customers have also signed up for iCloud, the set of free cloud-based services offered by Apple for iOS and Mac OS X 10.7 Lion users. iCloud will remotely store users' data and push it to all of their devices, automatically. The iPhone 4S is currently available in the U.S., Australia, Canada, France, Germany, Japan and the U.K. Apple will launch its new iPhone in 22 more countries on Oct. 28, and it will be available in more than 70 countries by the end of the year. A week ago, Apple announced that it had sold a million preorders of the iPhone 4S on its first day of availability. That provided the first hint that the iPhone 4S was on pace to have a record-breaking start when it went on sale. The sale of four million iPhone 4S units at launch exceeds Wall Street expectations, which had called for Apple to sell around three million units over the weekend. Analysts have also called for Apple to sell around 25 million total iPhones this holiday quarter, which concludes in December.